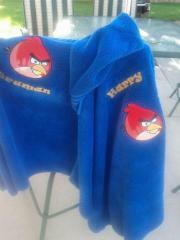 This is fine set of two terry towels prepared for two little boys who like angry birds. 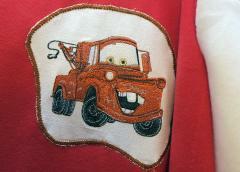 Their author used Angry birds embroidery design for decoration of each work piece. Furthermore they have identical color and size. As a result we see two same towels not to provoke quarrel between boys. Only difference between these towels is embroidered names of their owners. This is nice little handbag suitable for girl who has delicate taste and loves to dream. This thing is quite pretty itself: it is made in light color scheme and executed from dense material. But due to some little details it looks very well elaborated. 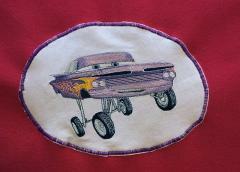 They are interesting keychain on zip and Girl fairy costume free machine embroidery design used by Johanna Hasselbrink for its decoration. 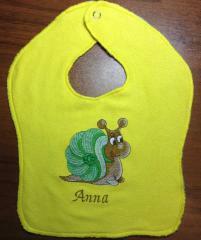 This is nice embroidered bib for little baby executed from pleasant fabric with bright color. 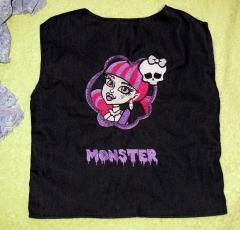 It will please you child every day due to its color scheme and Snail free machine embroidery design on its surface. Furthermore this work piece is also added by little girl’s name. So its usage will be true pleasant each time. You found the way to feed your baby without cry! This is pretty embroidered zipped handbag executed from leather. It has beautiful shade in traditional girl’s color scheme. 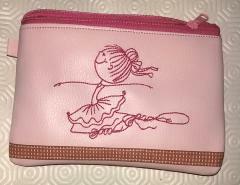 This work piece made by Johanna Hasselbrink‎ is decorated with Young ballerina free embroidery design 14. This picture looks like child’s painting and executed with just one color if thread. 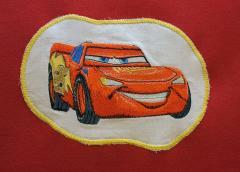 So it is not very difficult to make it even for beginner in embroidery. 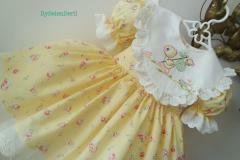 This is pretty embroidered set which all is devoted to beloved little baby. 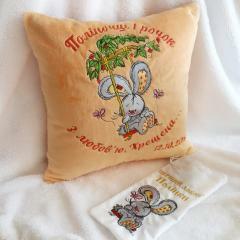 It includes soft cushion decorated with Bunny swinging on teeter 3 embroidery design and little textile bag added by Bunny swinging on teeter embroidery design 5. Together they are cute couple which will remain about first months of this sweet baby’s life for her parents in many years. 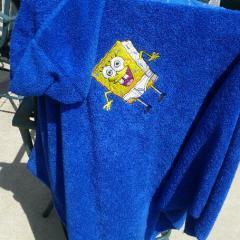 This is pretty embroidered terry towel which is suitable for drying child after bath. It has pleasant fluffy surface and nice design which will please you son or daughter. 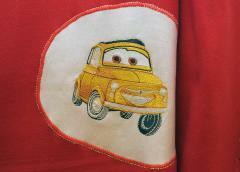 Mammoth free embroidery design is based on one famous cartoon which is beloved movies for many children all over world. It is coming to shore where its friend is waiting for it. 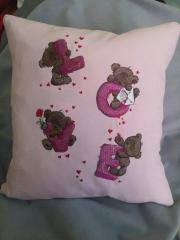 This picture shows nice cushion for children’s room made by JazzyJoDesign in all its beauty. It can be indispensable thing for child or teenager. It is soft pillow for sleeping, convenient pocket for postcards or magazines and inspired accessory at same time. Furthermore it is stylish work piece decorated with Zebra free embroidery design. Is it enough for you to want to make it? This is nice jeans backpack of small size. It is good for little boy and girl who wants to carry their belongings in convenient bag. It is decorated with picture of funny dog. It is Dachshund free embroidery design. There is cute pet going to eat its bones. It looks warily right on your: it seems to suspect you want to take them. 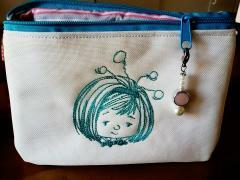 There is close up plan of pretty jeans backpack meant for little pupil. 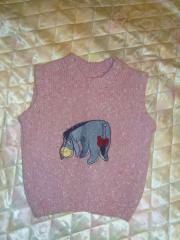 It's front side is embellished by Dachshund free embroidery design. This is funny picture of small pet which found two tasty bones to eat. Please note that side part of backpack is added with suitable embroideries of dog’s footprint. Together they create very stylish and well elaborated work piece.